In 1-quart saucepan, heat whipping cream over low heat until hot but not boiling; remove from heat. Stir in chocolate until melted. Let stand about 5 minutes. Ganache is ready to use when it mounds slightly when dropped from a spoon. It will become firmer the longer it cools. Pour ganache carefully onto top center of cake; spread with large spatula so it flows evenly over top and down to cover side of cake. Glazes 13x9-inch cake or top and side of 8- or 9-inch two-layer cake. 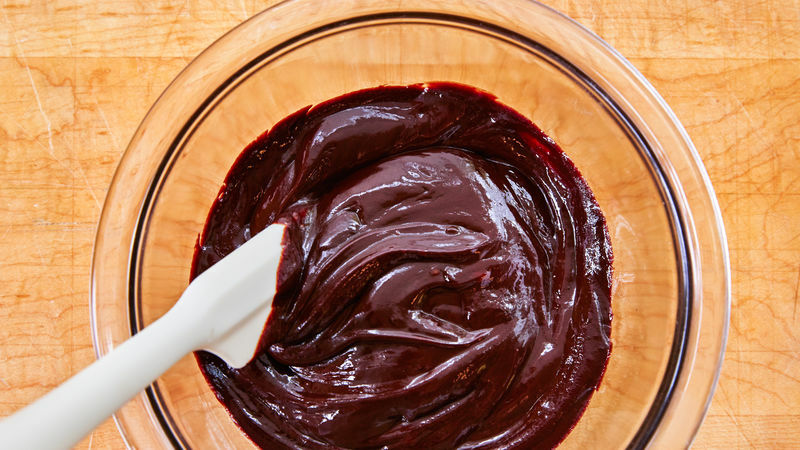 Ganache is a very rich chocolate glaze made with semisweet chocolate and heavy cream. If you glaze the cake on a cooling rack with waxed paper underneath the rack, the ganache will drip over the side of the cake and the extra drips will fall onto the waxed paper. When the ganache hardens, just slide the cake onto your serving plate—easily and neatly.